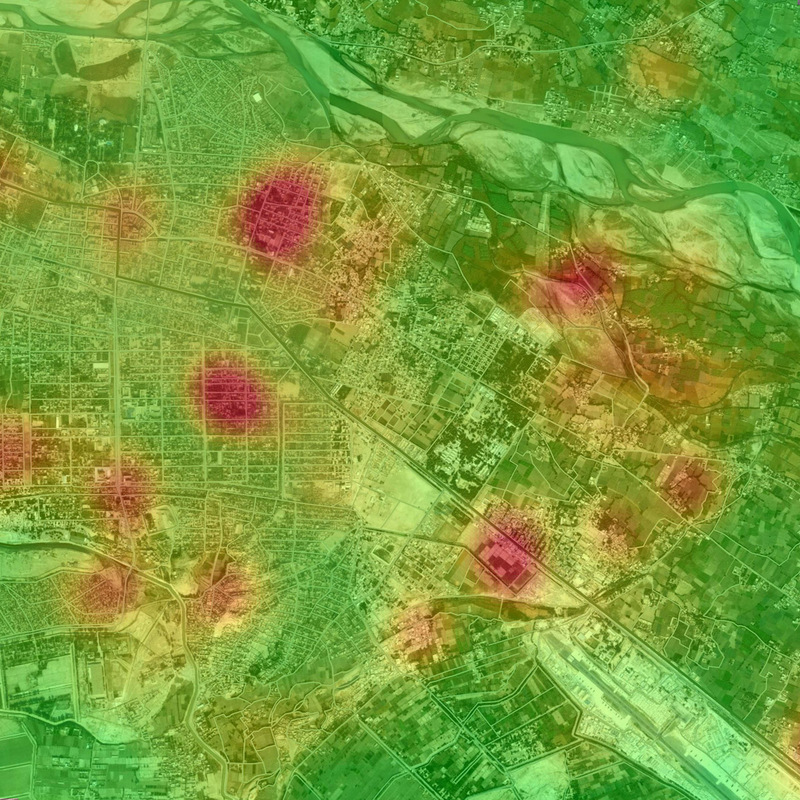 Esri's ArcGIS for Intelligence, Incident Analysis template tools are used to quickly perform hot spot analysis of incidents such as insurgent activity. HERNDON, Virginia—Lockheed Martin [NYSE: LMT] and Esri have deployed commercial software to the Amazon Web Services Commercial Cloud Services (C2S) environment for the first time with an intelligence community customer, the National Geospatial-Intelligence Agency (NGA), in a move that enables government agencies to better share geospatial intelligence. The deployment of the portal for Esri’s ArcGIS geographic information system (GIS) provides a single environment for analysts to securely organize and share data throughout the intelligence community and Department of Defense. It’s also the foundational step in consolidating multiple geospatial intelligence portals into the single NGA-provided portal, resulting in technology and license cost savings. This is NGA’s second pioneering step in the cloud, after the agency moved their Map of the World application to the C2S environment late last year. ArcGIS connects users to maps and geographic information. Users can create and view maps, compile geographic data, analyze mapped information and share geographic information in a range of applications. Lockheed Martin and Esri have partnered for eight years on the Geospatial-Intelligence Visualization Services (GVS) program, which helped NGA and the Intelligence Community achieve this cloud migration milestone. The Total Application Services for Enterprise Requirements (TASER) GVS contract vehicle, which was originally awarded in 2012, conveys geospatial visualization context and analytic capabilities to warfighters, intelligence officers and policy-makers through classified and unclassified computer networks. Headquartered in Bethesda, Maryland, Lockheed Martin is a global security and aerospace company that employs approximately 112,000 people worldwide and is principally engaged in the research, design, development, manufacture, integration and sustainment of advanced technology systems, products and services. The Corporation’s net sales for 2014 were $45.6 billion. Since 1969, Esri has been giving customers around the world the power to think and plan geographically. The market leader in GIS technology, Esri software is used in more than 350,000 organizations worldwide including each of the 200 largest cities in the United States, most national governments, more than two-thirds of Fortune 500 companies, and more than 7,000 colleges and universities. Esri applications, running on more than one million desktops and thousands of web and enterprise servers, provide the backbone for the world’s mapping and spatial analysis. Esri is the only vendor that provides complete technical solutions for desktop, mobile, server and Internet platforms.